Notes from the Slushpile: Tuning in techniques for your brain! Tuning in techniques for your brain! I've heard other writers say that they could never work on more than one story at a time. However I bet they actually have side projects in the backs of their heads - things they want to develop when there's time. This could be almost anything that helps to key your brain into your story. Ideally it will be something smallish that you can keep on your desk. I find this a particularly useful technique when I'm using a real world setting as my inspiration. It works because I can bring something back that's meaningful to me. A few years back I wrote a story inspired by the dark peak area of the Peak District. 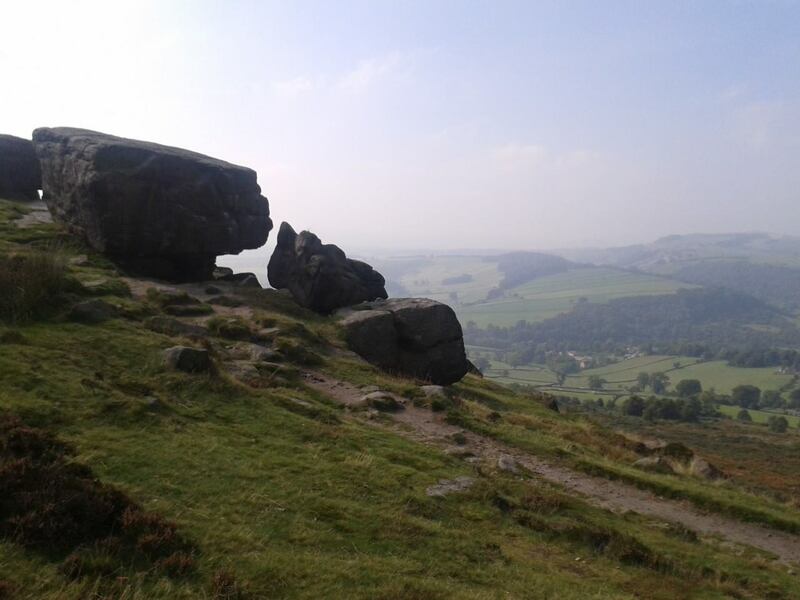 I brought back one pebble from the rocky cliffs around Curbar Edge and kept it on my desk. It was helpful to be able to pick it up and handle it from time to time. Its shape and rough texture evoked that place for me. Choosing a key image and keeping it as your desktop or laptop background will launch you into the right mood for your stories as soon as you boot up your computer. This doesn't have to be a picture that evokes your setting. It could be something that links to your main character or theme. 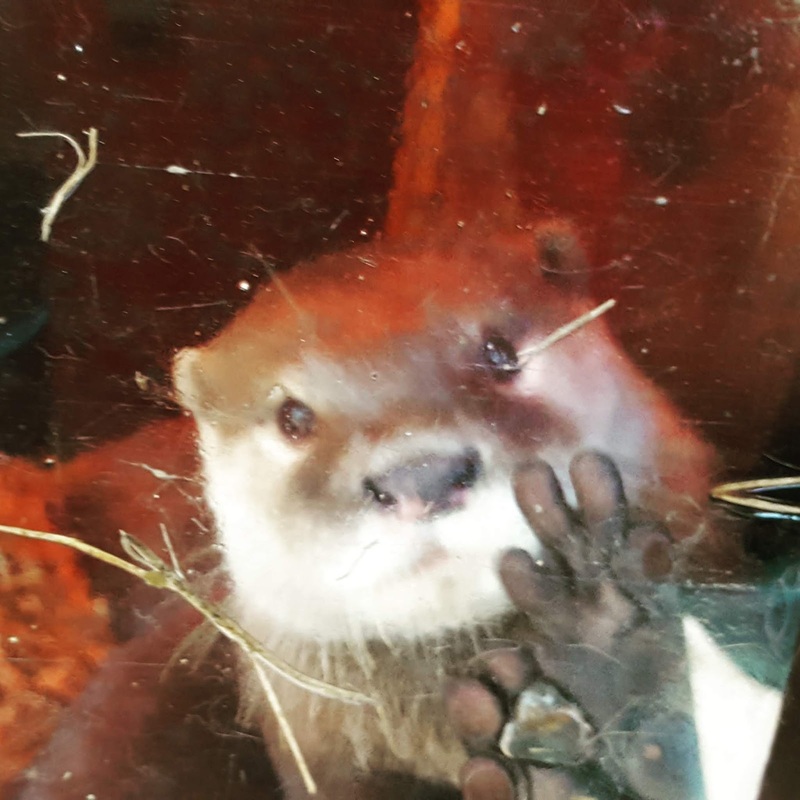 Last year I wrote a book for readers aged 6+ and I kept a picture of an otter that I'd taken at Newquay Zoo as my desktop background. I like this one as it looks like he's waving at me! I have to confess that I've never created a mood board but I know some writers love them. The advantage of this technique must be that you're not restricted to one key image to shortcut your brain into story mode. You can put together all sorts of images matching different characters and themes that evoke the complexity of your fictional world. With sites like Tumblr around this has become easier and easier to do. Just make sure that you don't spend so much time putting together a mood board that you never get round to writing. If you asked me which of these techniques is the most useful to me I'd pick music. There's something about music that reaches our emotions instantly and let's us springboard straight into the right frame of mind for writing fiction. I've also relied on this heavily during times where there were family or personal issues going on, as happens to everyone from time to time, but putting writing aside was not an option because I was writing under deadline. This is another blog post really, but if shutting out all other things in your brain is a challenge then I really recommend finding a song or piece of music that connects with your story in some way. To work well, I'd suggest keeping the notes short. Maybe just a few key sentences about what the central conflict is in your character's life. These notes could be in a notebook but sometimes I pop them at the top of the chapter I'm working on. Sometimes, if I'm keen to crack on, I'll write something in capitals in my manuscript about the things I need to expand on. That way I can carry on writing but remember my thoughts about editing the chapter when I come back later. This is a similar idea to the one above, but in this case keep it REALLY short. In the past I've stuck key thoughts on the wall above my computer. The only down side with this is that your family and friends tend to come along and read them out loud and then stare at you in a quizzical way as if you've completely lost the plot! Hopefully some of these will be useful to you! I've been thinking about the theory of different learning styles recently (I was once a primary school teacher) and I wonder if what's useful will depend on whether you're a visual, auditory, reading/writing or kinesthetic learner. I don't know very much about the theory but I do know that I'm a visual learner and I tend to think visually, so I nearly always use the desktop background technique with my stories as it works so well for me. Good luck! Paula Harrison is the million-selling author of The Rescue Princesses. She has also written two more young series and five novels for readers aged 9+. Amazing post. Really timely for me as I struggle to start a new novel. Good luck with it, Candy! I needed this post! I find it hard getting straight back into the story each day. I am definitely going to use the image tip on my laptop. Maybe a montage of them. I think I'll tune in to some much younger music too. Thanks! This is great, Paula! So many good suggestions. I use objects and images to focus, and I also write lots of notes to myself. I wish I could do music, but that has never worked for me. Thanks Amy! Objects are so great if you can find the right thing! Really helpful, thanks Paula. I like the key image idea (and the picture of the otter). Cute, huh! Did you know they hold paws in the water when they sleep?! Thanks, Paula. I did use listening to a particular piece of music for a particular scene when I was writing but it was so emotional, I couldn't use it for any other scene or I'd have been blubbing as I wrote! I may well try the music one more during editing.